Please help us keep a valuable part of our history and community alive! Our grange hall is in need of a new roof. Members have actively constructed and repaired this hall for over 80 years. In addition to countless volunteer hours, members have endeavored in many ways to raise funds. In addition to seeking grants and fundraising activities, Marys River Grange is also turning toward crowdsourcing in order to find new ways to assist our efforts. 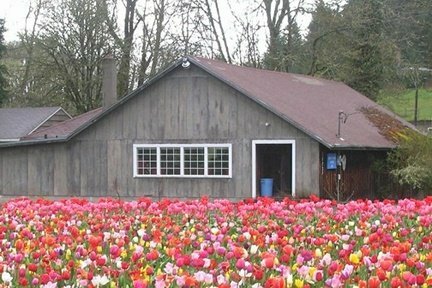 The Marys River Grange #685 in Philomath, Oregon was founded in 1927. 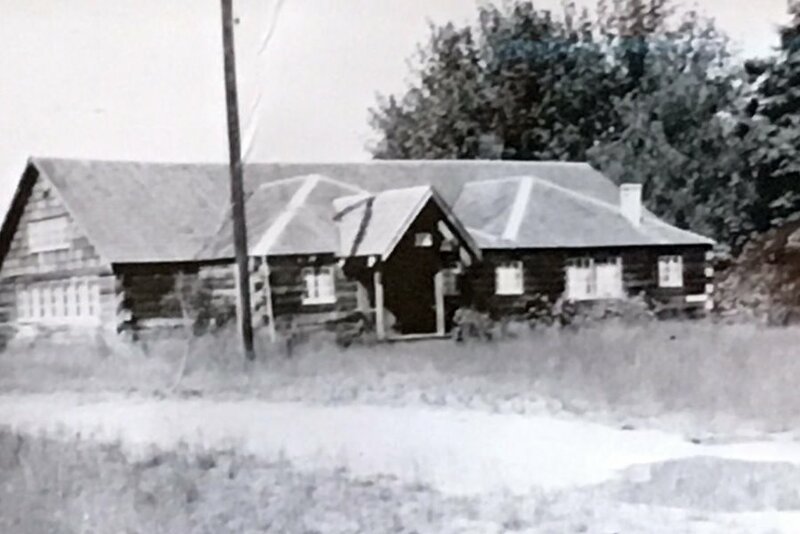 The Hall was built on land donated by M. Thomsen, with volunteer labor, with log walls and cedar shake roofing (hand-split on site). Construction began in 1933 and finished in 1935, with most material being donated, and a total of $1294.22 of purchased materials. It has been a central part of local community events. Many of the nearby roads and terrain features are named after founding families of the Marys River Grange. The Grange, both locally and nationally has been an important advocate for rural communities and those involved in agriculture. Grange Hall in early 2010s. Grange membership has seen highs and lows throughout it’s nearly 150 years of existence, and in 2009 the Marys River Grange almost closed its doors for good. The community came together, with 50 new members, to save the local Grange and membership has remained strong. In 2018 Marys River has 67 members striving to preserve this historical community resource. Our average Grange member age has dropped from 65 to 35. Marys River Grange has an active web site at http://marysrivergrange.org. They provide free hall rental for events such as low cost medical clinic for farm workers and a educational puppet show for children on climate change or listening sessions for farmers and ranchers. They sponsor a monthly game night, and community movie nights once or twice per month are provided for free, seasonal events like wreath-making and Halloween costume Scarey-oke, Ice Cream Socials, and instructional/educational events such as the recent Permaculture project. 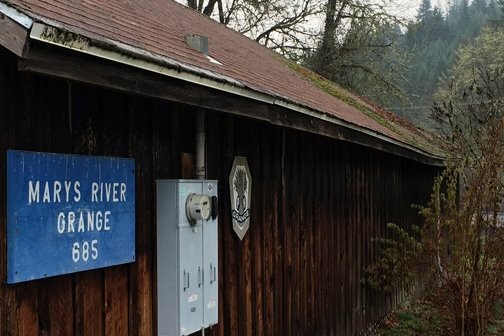 Marys River Grange contributes to Ten Rivers Food Web and Philomath Community Services, and works on other volunteer projects. The Grange also rents the Hall for weddings, reunions, parties or other events as needed. Events that benefit the community are offered rental rates at or below the cost of operating the hall. This is the primary source of funding for keeping the Hall in order. The Hall is now over 80 years old, and members have continued to volunteer and work hard to renovate it. Recent work has included fixing a sagging foundation corner and wall, repairing bathrooms, electrical and plumbing work, insulating, repairing the front siding and stage acoustical enhancements (courtesy of a grant from the Benton County Cultural Coalition) Hundreds of hours and over $25,000 in capital improvements have been invested by members. It is now time to address the roof, which has started leaking. This will be very expensive, and currently is beyond the resources of the Grange, so we are undertaking a campaign to help with the costs. In addition to crowdsourcing, we are seeking local donations, holding fundraising events, like a pie auction and applying for grants. We feel it is important to not place this community resource in jeopardy by assuming debt and are following the example of generations of past Grangers. The estimated cost of the roof replacement is $26,360 and we are hoping to raise a portion of that through online contributions. If we are blessed enough to raise enough to cover the roof costs, there are other projects that can be addressed, but we will issue updates about those goals should we reach our initial goal. 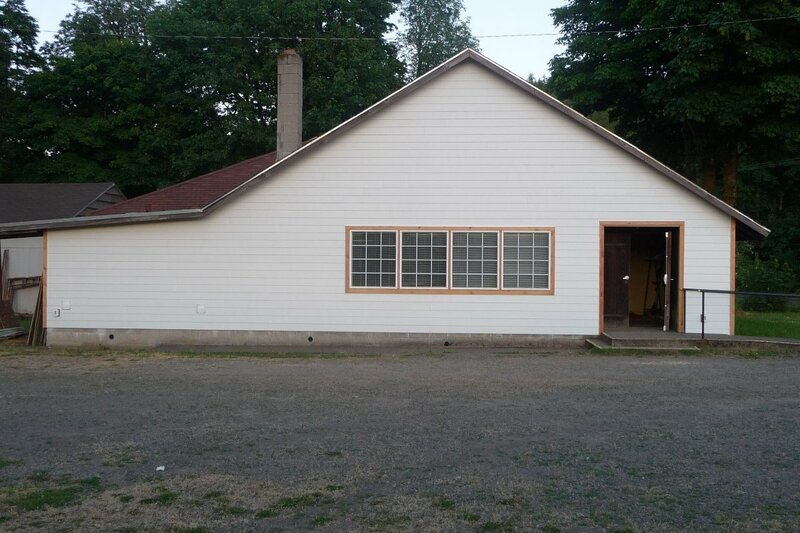 ALL funds received will go towards repair and renovation of the Grange Hall. Thank you very much for your time and your money should you choose to donate to us, and whether you donate or not, we encourage you be active in YOUR local community! WOW! We have crossed the $1,000 line on our GoFundMe campaign. In addition, we have recently been awarded a $5,000 grant from the Ford Foundation, and Amazing Grange Day was a huge success as well - meeting so many community members, gaining a new member, earning over $4,000 and most importantly, hearing the stories from those in our community about how the Grange and our Hall has impacted their lives. When we began this fund raising drive, we had saved $5,000 for this project and were able to commit another $3,000 of our cash reserves. With a total cost of somewhere around $27,000, that left us $19,000 short. It seemed like a daunting, almost insurmountable challenge. Relying on the Grange principles of FAITH and HOPE, we elected to make a down payment for the work, and elected to rely on the CHARITY of our local community and the FIDELITY of our members. With PERSEVERENCE, we are now less than $3,000 from our goal. Reaching our goal has gone from seeming impossible, to being possible, to now being very probable. Our motto for this project has been - It takes a community to raise a roof, and that has been so very true. Thank you for being part of our community, and thank you so very much for your help. It inspires us. Thanks to everyone's generosity, Marys River Grange has now raised almost $3500, with help from almost three dozen individuals and eight local organizations and businesses. We are humbled and gratified by your support and truly appreciate your contributions. August 11th, from 10AM - 4PM oat 24707 Grange Hall Road in Philomath, will be Amazing Grange Day. Featuring a Silent Pie Auction, Rummage Sale, opportunity to purchases guesses to try and win a cord of firewood, free prizes for kids, a vegetable booth from Sunbow Farm, the debut of our 100 Envelopes raffle and free popcorn. Please come see us, and if you have donated, let us know so we can thank you in person. A huge thank you to everyone who has contributed. Our crowd sourcing efforts combined with our member and business donations have raised a little over $1500 so far. What a great start. We still have a ways to go, but the outpouring of support and contributions has lifted our spirits and renewed our dedication to our friends and community. A huge thank you to our first two crowdsourcing donors! Thank you so much for your generosity. The Ford Foundation has notified us that we are eligible for a grant award, and once we get just a little closer to our goal, we are encouraged to apply. So keep in mind that every dollar donated will allow us to add additional funding from other sources. We have also begun fundraising with our members and local businesses and are also planning on holding a fundraising event on August 11th at the Grange Hall, which will be detailed in subsequent updates. We are working on many fronts to make this plan a reality.